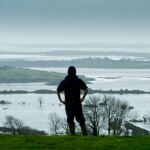 Young Paul O Sullivan of Cooga, Kildysart looking out over the family farm and other neighbour's farms which are under deep flood water from the Shannon Estuary. Photograph by John Kelly. 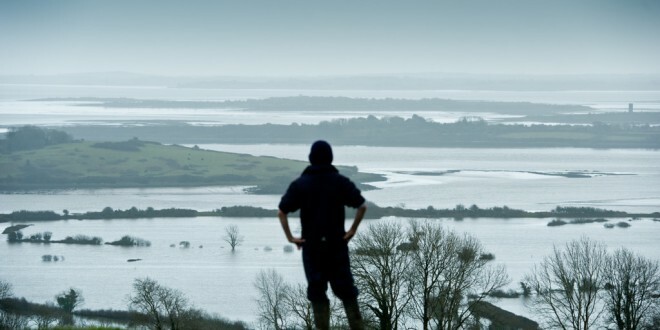 Young Paul O Sullivan of Cooga, Kildysart looking out over the family farm and other neighbour’s farms which are under deep flood water from the Shannon Estuary. Photograph by John Kelly. 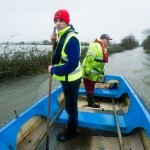 Gerry Murtagh and his son Damien go to assess the flood damage on over 20 acres of their farm at Lacknashannagh, Kildysart on the Shannon Estuary. Photograph by John Kelly. 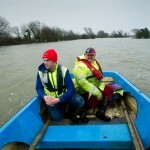 Gerry Murtagh and his son Damien assess the flood damage on over 20 acres of their farm at Lacknashannagh, Kildysart on the Shannon Estuary. Photograph by John Kelly. 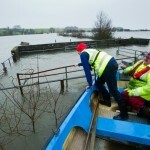 Gerry Murtagh and his son Damien float by their submerged cattle crush yard with flood damage on over 20 acres of their farm at Lacknashannagh, Kildysart on the Shannon Estuary. Photograph by John Kelly. 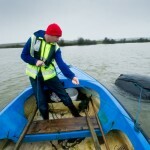 Floating Harvest…..Gerry Murtagh and his son Damien assess the damage to their summer harvest of silage bales after over 20 acres of their farm got flooded at Lacknashannagh, Kildysart on the Shannon Estuary. Photograph by John Kelly. 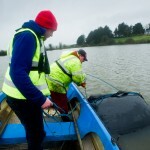 Floating Harvest…..Gerry Murtagh and his son Damien try to salvage some of their silage bales after over 20 acres of their farm got flooded at Lacknashannagh, Kildysart on the Shannon Estuary. Photograph by John Kelly. 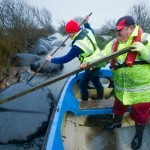 Gerry Murtagh and his son, Damien try to salvage some of their silage bales after part of their farm was flooded at Lacknashannagh, Kildysart , on the Shannon Estuary. Photograph by John Kelly. 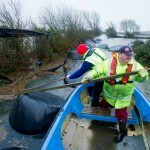 Gerry Murtagh and his son Damien try to salvage a floating silage bale with their boat, as they assess the flood damage on over 20 acres of their farm at Lacknashannagh, Kildysart on the Shannon Estuary. Photograph by John Kelly. 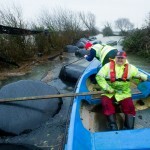 Damien Murtagh trying to salvage one of the summer’s harvest of silage bales after over 20 acres of the family farm, including their farmyard got flooded at Lacknashannagh, Kildysart on the Shannon Estuary. Photograph by John Kelly. 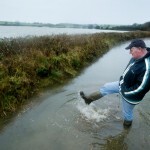 Local farmer Tom Finn at the entrance to his farm at Lacknashannagh, Kildysart on the Shannon Estuary, where he has 22 acres of grazing and meadow under severe flood. Photograph by John Kelly.